Ordinary residents and rank-and-file Communist Party members in a village in Jiangsu Province have taken an unusual step to seek relief from forced demolitions. After years of land grabs, harassment, and other abuses by local officials, a group banded together and penned a letter to Master Li Hongzhi, the founder of Falun Dafa, a spiritual discipline that has been persecuted in China since 1999, asking for help. The letter refers to the traditional Chinese belief in retribution, according to which those who harm others eventually pay for their misdeeds. The villagers hope those officials who have tormented them will suffer retribution. Hundreds of people in Luzhuang village, Guanyun County, Jiangsu Province, have been subject to forced demolitions by the county government and businessmen since 2002, they allege. After their lands and houses were taken from them, the villagers went to petition but were detained, sent to labor camps, or otherwise persecuted, they say. On the morning of May 13, another forced demolition took place in the village—ending in at least one death. Residents told an Epoch Times reporter that local villager Lu Zengluo was beaten to death by the wrecker crew, which are often roughnecks or gang members hired by developers. Then, to destroy the evidence, the group ignited gas tanks and caused a large fire, they allege. In an indication of how seriously the Communist Party is taking the incident, local propaganda officials published an official refutation of the villagers’ story. 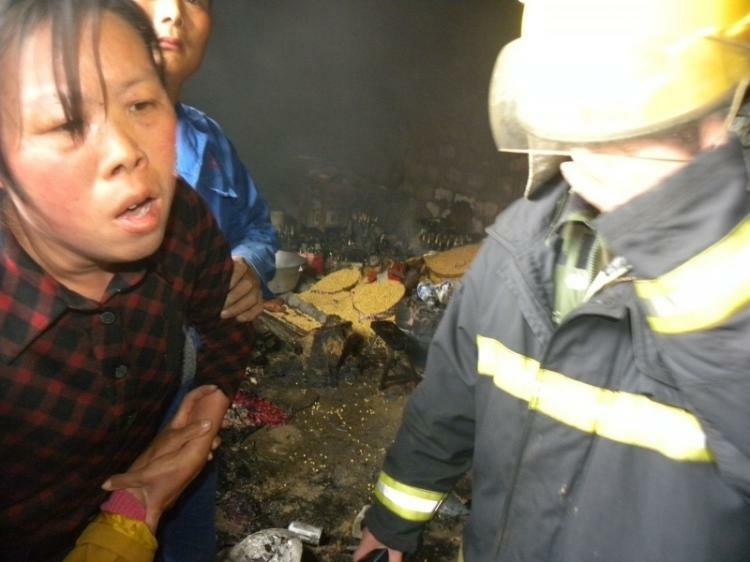 The authorities say that Lu set himself on fire with the gas tanks; self-immolations happen occasionally as desperate homeowners with nothing to lose battle against violent eviction parties organized by the government. On May 14, the day after the incident, locals infuriated by what happened sought to prove their version of events and uploaded gruesome images of the death scene to the Internet. They wrote that they hoped overseas media would publicize the case. At the same time they drew attention to a letter that they had sent to Mr. Li Hongzhi on April 24. That was published by Boxun, a dissident website. Attached to that letter was a collective statement of resignations from the Chinese Communist Party, which was written on Dec. 8, 2007. The villagers say that since March 2010 four villagers have attempted suicide by drinking pesticides, as a means of protest against the forced demolitions. Other families have had their electricity and water cut off or roads blocked, while others were detained by police, they say.